The Smoke Rise Riding Club was founded by John Talbot and other Smoke Rise Residents in 1963, and incorporated as a non-profit organization in 1965. Until his death in 2006 Mr. Talbot remained active in the club, as a Trustee. Today The Smoke Rise Riding Club is an independently funded, non-profit, sub-club in the Smoke Rise Community open to anyone interested in stabling horses, taking lessons, competing in equestrian events, or riding for pleasure. Over the years, some of the premier New Jersey horse shows were held here, in the Village Green riding rings and surrounding fields. The club was active until the late 1970s, and was revived in the early 1990s. During the last few years, the club has been building its membership and its show schedule. 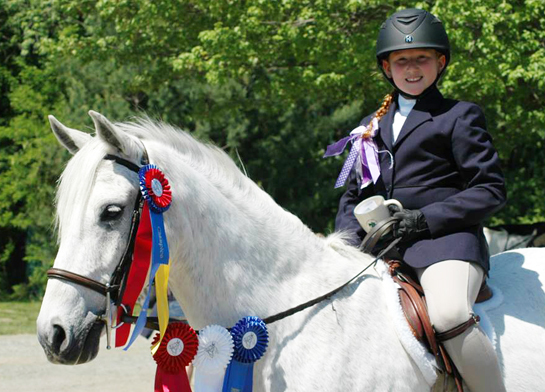 The Club now hosts eight C-rated shows licensed by the US Equestrian Federation, and several local shows. The Club’s philosophy It is to instill self-confidence, self reliance, and maximum responsibility for the horses well being with each rider attending to their own tack and to the horses needs. The Smoke Rise Riding Club is dedicated to the preservation, safety and enjoyment of equestrian activities for amateur riders.